Neuroscientists who work with real neurons will swap ideas with those who work solely on mathematics at this year’s Cosyne conference. 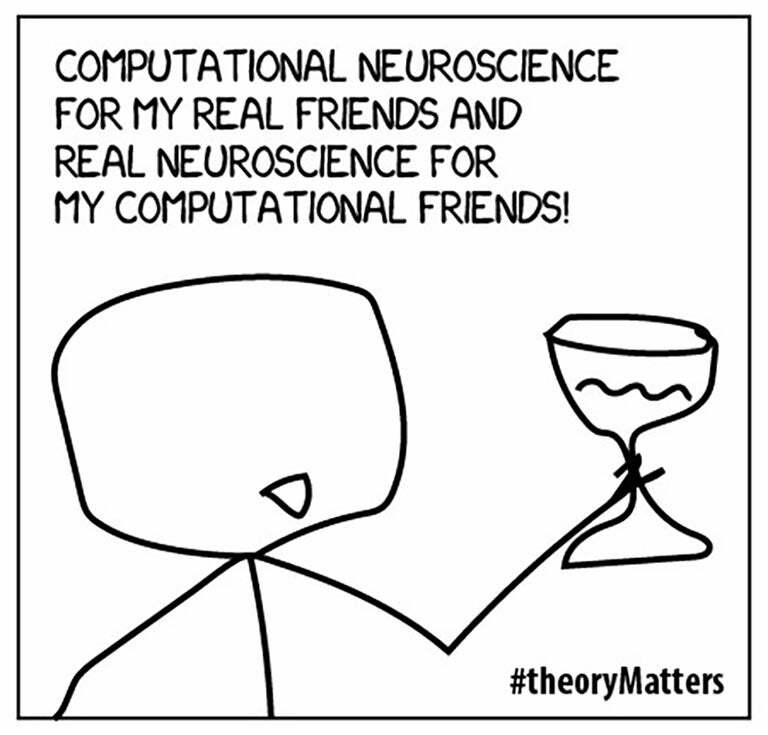 Follow #theoryMatters on Twitter for videos of them explaining why they need to work together. Associate Professor Anne Churchland on why collaboration between neuroscientists who focus on theory and those who conduct experiments is becoming more important. In early February, the scientific community and beyond was bubbling with excitement over the first-ever detection of gravitational waves. Yet Einstein predicted this phenomenon a full century ago—it’s the technology to experimentally test his theory that held up this discovery. Just as Einstein advanced his field through theory, so do many neuroscientists, who ponder aspects of the nervous system that are beyond the reach of available technology. One of the neuroscientists participating in Cosyne this year is Memming Park of Stony Brook University, who created this xkcd-inspired comic. He’ll also be conducting interviews and making the videos for the #theoryMatters project. An “explosion in technologies for measuring and manipulating neurons” is quickly changing the game, however, as Associate Professor Anne Churchland describes in this March’s special issue of the journal Nature Neuroscience, which focuses on computational (a.k.a. theoretical) neuroscience. As a result, she argues, collaboration between neuroscientists who focus on theory and those who conduct experiments is becoming more important. 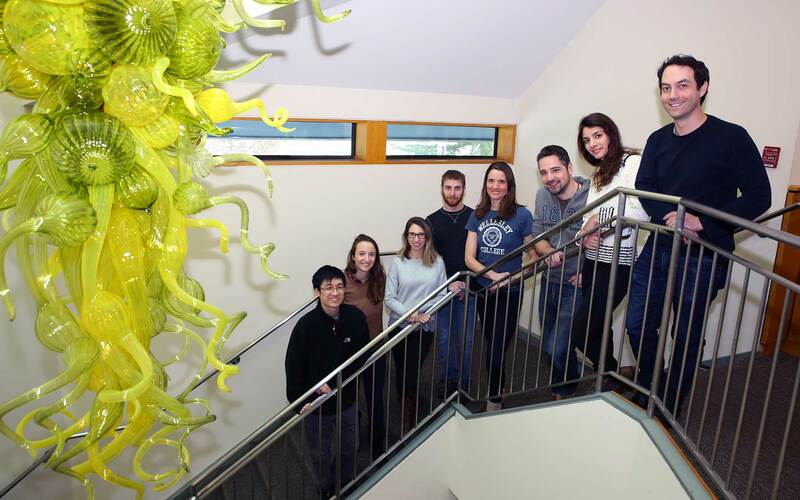 This type of collaboration has long been at the heart of neuroscience research at CSHL—so much so that in 2004, Professor Tony Zador started a conference, called Cosyne, aimed at bringing together theorists and experimentalists in the neuroscience community beyond CSHL. Neuroscientists at this year’s Cosyne conference intend make this goal loud and clear by posting short videos (like the one at the beginning of this post) that tell stories of how intersections between theory and experiment have profoundly impacted their work. These videos will be posted on Twitter under #theoryMatters starting on February 25, so look out for them. Since the first Cosyne in 2004, the meeting has grown from a few hundred participants exchanging ideas in Grace Auditorium on the CSHL campus to this year’s 900-participant conference in Salt Lake City, Utah. The opportunity to present material has gotten intensely competitive as well, but CSHL will be well represented. Professor Alexei Koulakov, Associate Professor Florin Albeanu, and Professor Adam Kepecs will be there, presenting ideas based on math-based models and hands-on experiments that share the grand-challenge objective of understanding the structure and workings of our most complex organ.